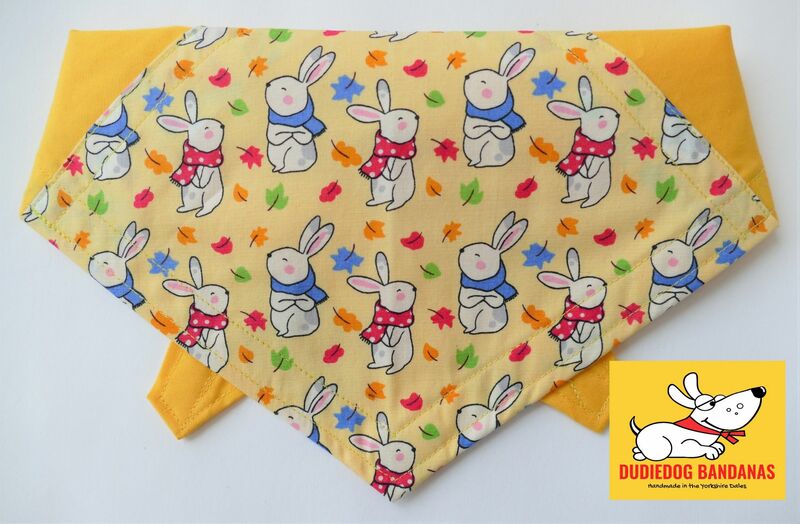 An adorable Spring Bunny Easter Bunny dog bandana! 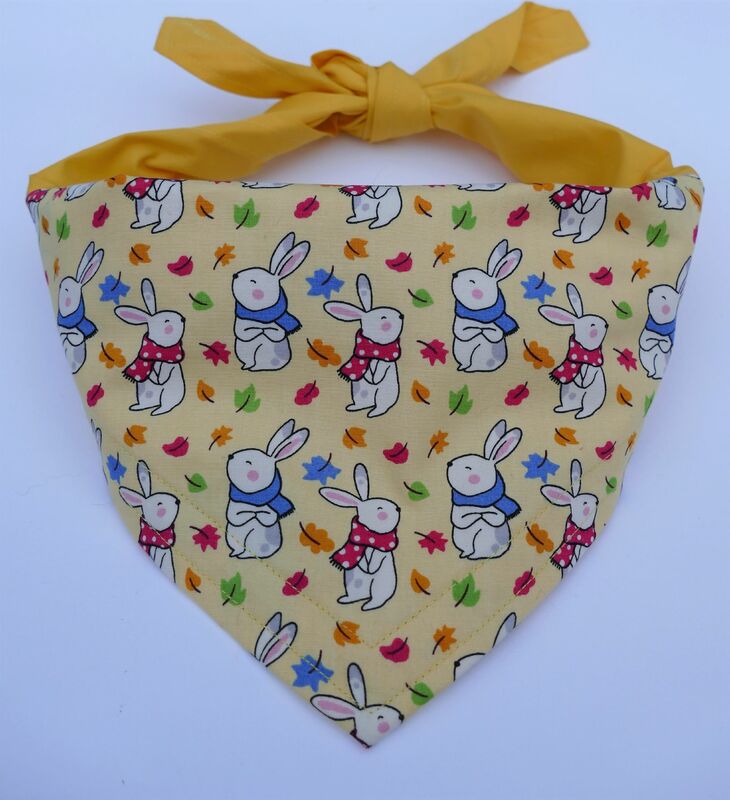 This beautiful design has a panel of Bunny cotton complimented by a soft yellow background/sides/ties. It's a perfect Spring accessory for any dog! 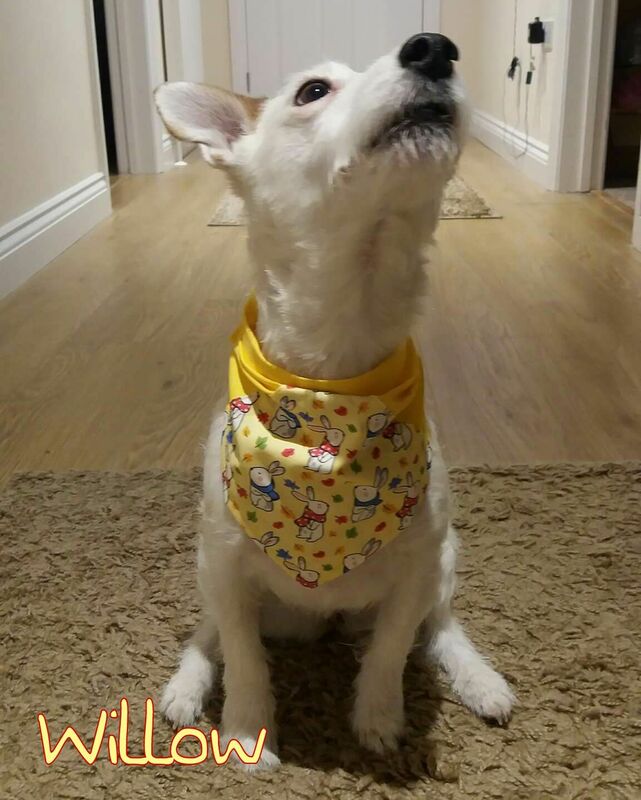 It's also the perfect doggy Easter gift for your 4 legged friends! 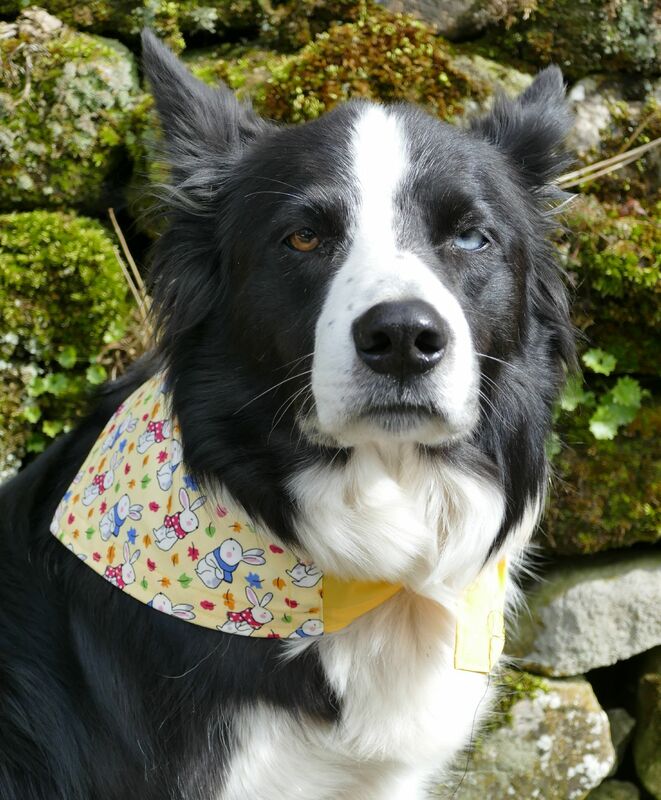 This Enchanted Forest dog bandana is so cute! 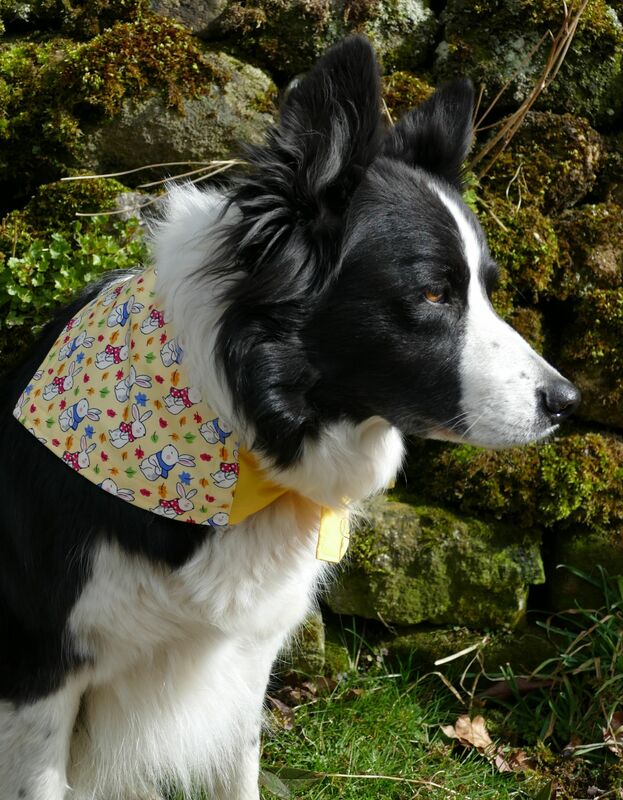 You can choose from 3 colours for the sides of this gorgeous Spring bandana!